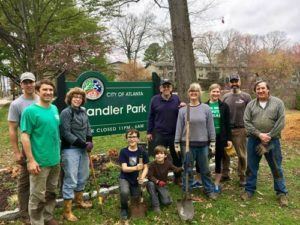 As Candler Park Conservancy works towards our exciting long-term Vision Plan, we are currently advancing specific initiatives to bring immediate improvements to the Park. 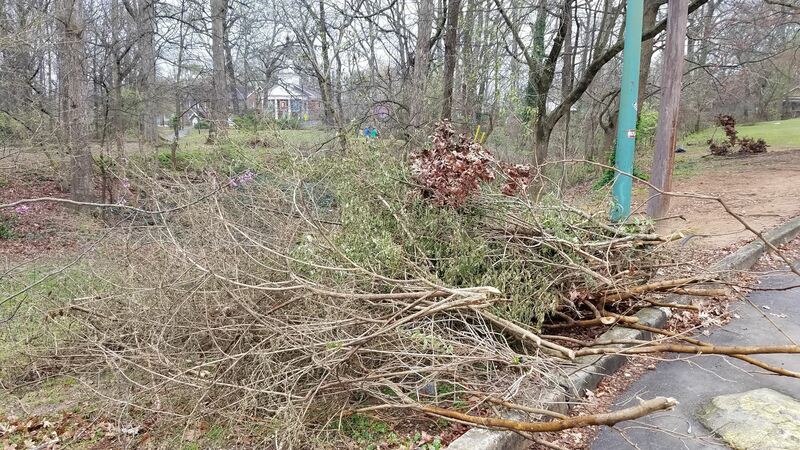 Candler Park Conservancy is undertaking a year-long initiative to remove invasive, non-native plants from the wooded coves in the southeast corner of the Park between Callan Circle and the parking lot. This multi-faceted process involves extensive cutting and selective treatments to allow the native species to thrive and return the coves to their original beauty. This initiative is part of our commitment to preserving the natural aspects of the park and also allows us to pursue some of the secondary paths as outlined in our Vision Plan. 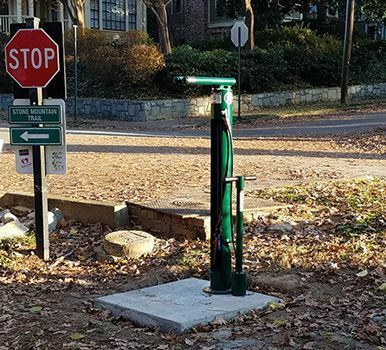 Candler Park Conservancy and the PATH Foundation added a new Dero "Fixit" Bike Station to the northeast corner of the Park on the Stone Mountain Trail. The Fixit Station includes all of the tools necessary to perform basic bike repairs and maintenance, from changing a flat to adjusting brakes and derailleurs. The tools are securely attached to the stand with stainless steel cables and tamper-proof fasteners. Hanging the bike from the hanger arms allows the pedals and wheels to spin freely while making adjustments. This station benefits the many recreational and commuter cyclists who pass this point as it is a nexus for travel to Emory University, the Atlanta Beltline, Candler Park MARTA Station, Downtown, and Decatur in addition to students from Mary Lin Elementary and Paideia Schools. 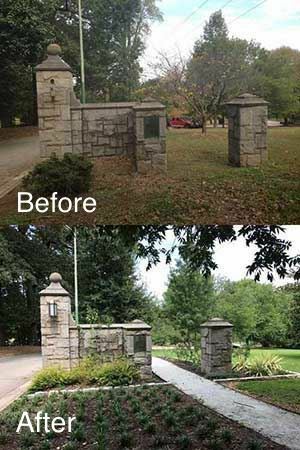 Candler Park Conservancy drove the design and installation of significant landscape improvements at the Park entrance from McLendon Avenue NE. We fully re-imagined what was formerly an overgrown and unkempt area with a view to creating a low maintenance but gorgeous gateway to Candler Park. 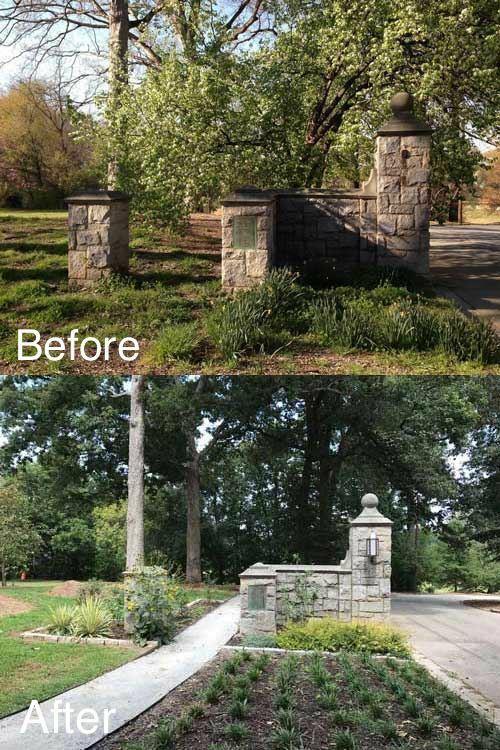 After working with landscape designers and the City of Atlanta Department of Parks and Recreation, we developed and implemented a plan to beautify the park entrance using stone and local vegetation in a way that would thrive now and in the future. The before and after images here highlight the meaningful aesthetic impact of this effort. In addition to major contributions of time and money from the Candler Park Conservancy and its amazing volunteers, this project was made possible by design work by Elise Cormier, a number of plants and bulbs from Intown Ace Hardware, as well as materials and labor from Chandler Hardscapes. 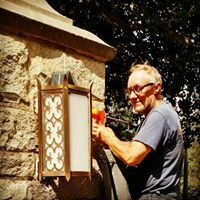 Candler Park Conservancy led efforts to restore lighting at the entrance to the Park from McLendon Avenue NE with artist-created lanterns. The park’s entrance gates were originally designed and erected in 1932 by the firm of Edwards & Sayward (designers of the Candler Park golf clubhouse) with electric lights to accentuate the stone entrance. The original lights and fixtures had been vandalized sometime previous to 1980, with only the junction boxes and shards of the brackets remaining. 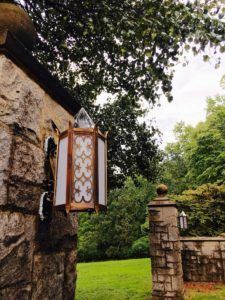 The new design was inspired both by the work of the original architects (who did similar lights at Buttrick Hall at Agnes Scott College), as well as the fragments of the original lights remaining on the gates. The bronze, solar powered lights installed by the Conservancy are the product of the hard work of multiple people including Candler Park Conservancy Board Member Amy Erwin and the Beltline artist and fabricator, Cash Barnes. We also thank CPNO and the Urban Design Commission for their support on this project. Funding for the design, creation and installation of these lights was provided by the Candler Park Conservancy and Park Pride. 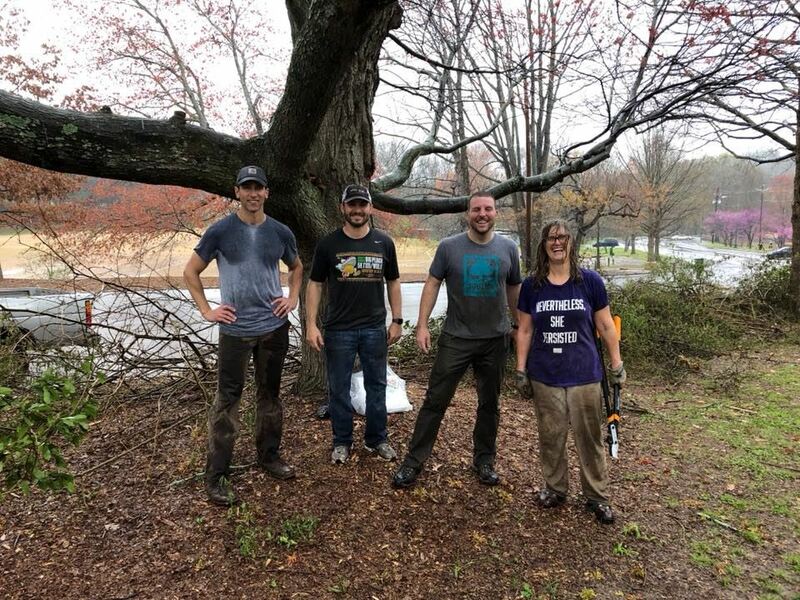 Candler Park Conservancy has undertaken a number of volunteer-based workday projects to help beautify and brighten up Candler Park with landscape installation, mulching and weeding, as well as the removal of litter and refuse. 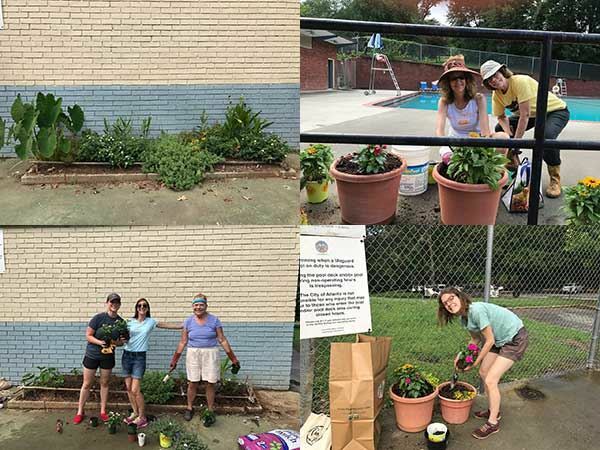 The project highlighted here involved installation of a variety of colorful plants around the Candler Park Pool and Pool House. The plants for this project were donated by Linley Branham with Constellation Energy.